Seeing both strike-through prices and percentage reduction on homepage is the best way to highlight the current special offer (sales or discount). This module improves the effectiveness of your sales or promotional campaign by displaying both the special price, the regular price and the percentage (or amount) of reduction on the homepage featured products. 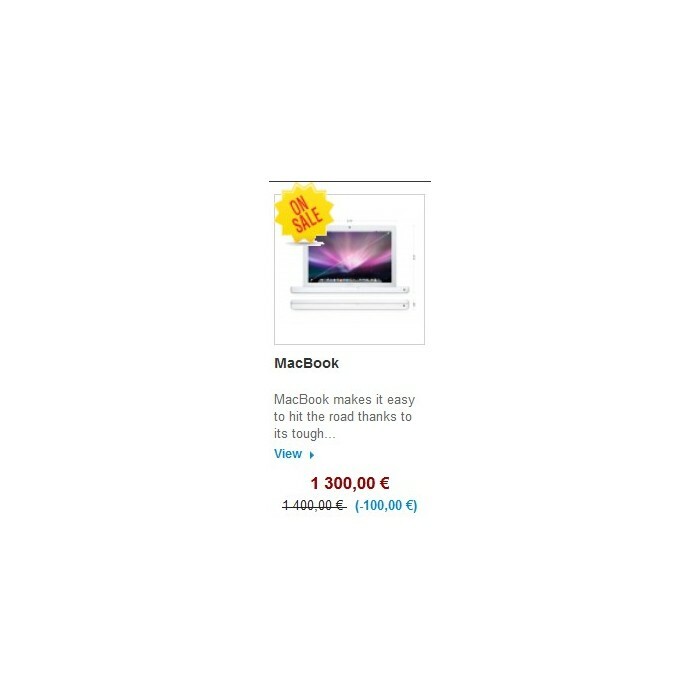 It also allows to be consistent with the display of the product page prices. This module improves the effectiveness of your sales and promotional campaign by displaying both the special price, the recommended retail price and the percentage reduction on the homepage featured products. It also allows to be consistent with the display of the product page prices. To be more efficient products can be randomly displayed or sorted by price, position inside the Home category, name, manufacturer, product id. Ascending or descending way. - Products randomly displayed or sorted by price, position inside the Home category, name, manufacturer, product id. Ascending or descending way. - IMPORTANT: in some cases and according to your theme, please note that some css adjustments and smarty/tpl changes might be necessary (refer to installation section, optional installation by Alize Web). 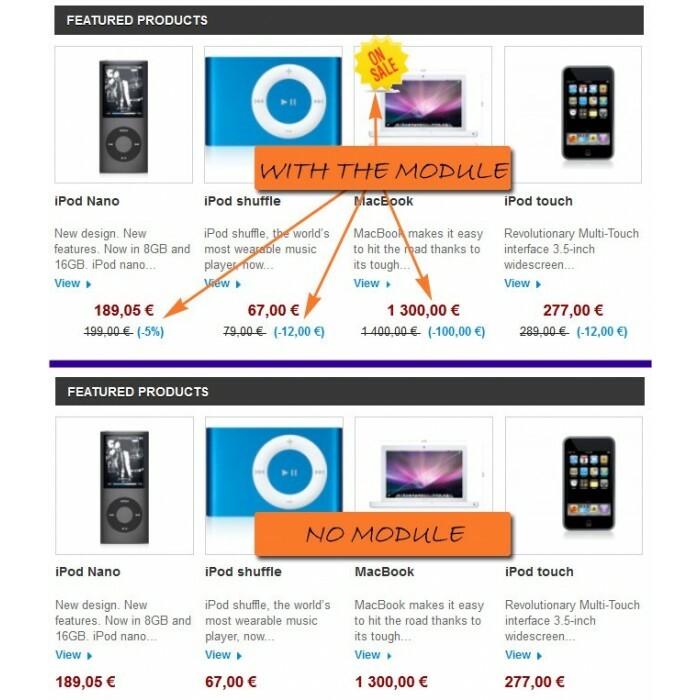 Do not forget to uninstall the homefeatured module by PrestaShop especially on Prestashop 1.3, 1.4 and 1.5! Do not forget to turn off any performance cache smarty settings and CCC parameters before installing the module. You will set them back afterwards. Caution : this module works with the default theme of PrestaShop. If there are gaps between your theme and the default one, some adjustments may be necessary, smarty/tpl or even php changes. Should you want an easy installation please feel free to ask the installation by Alize Web after your purchase (75€ tax excl), by sending a message to the developper. Note : Some products must be associated to home category to be displayed by the module.